Check back here for next clearing and tidying sessions! Many hands make light work - but it's fun too so please join us! Everyone is welcome to join us at our bi-monthly Friends meetings, which are held at 7pm on the second Thursday. For dates of the next meetings click here to go to our diary page. What a fantastic day we had - lots of people, great weather - fun fun fun! Click HERE to see the Friends at Play with photos of our many family events! Here are some events and activities run by other groups that you might find interesting! click here to visit the GM LRC website. Treestation is a social enterprise in arboriculture, wood fuels and sawn timber. If you'd like to know more about wood-burning stoves, biomass boilers, coppice crafts and chainsaw carving, pop along to one of their open days at their site in West Gorton. Or click here to visit their website. The walks, which are usually led by trained walk leaders, last for about one and a half hours, followed by refreshments at Glenbrook Chapel hall on Glenbrook Road. Some of the paths can be muddy or slippy so please wear appropriate footwear. 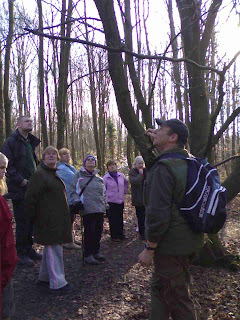 For dates of the next health walks click here to go to our diary page.